Alaïa’s sunglasses are frequently spotted on some of the world's most stylish women - supermodel Naomi Campbell recently wore a pair to the opening of the brand's flagship store in London. 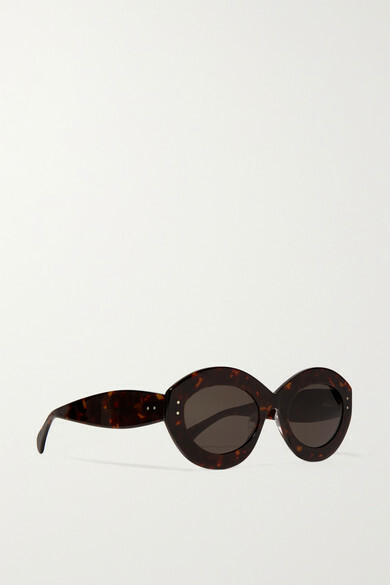 These round-shaped frames have been made in Italy from lightweight tortoiseshell acetate and fitted with tonal lenses offering 100% UV protection. Shown here with: Givenchy Top, Givenchy Coat.